Who will be the MET's Siegfried in 2013? 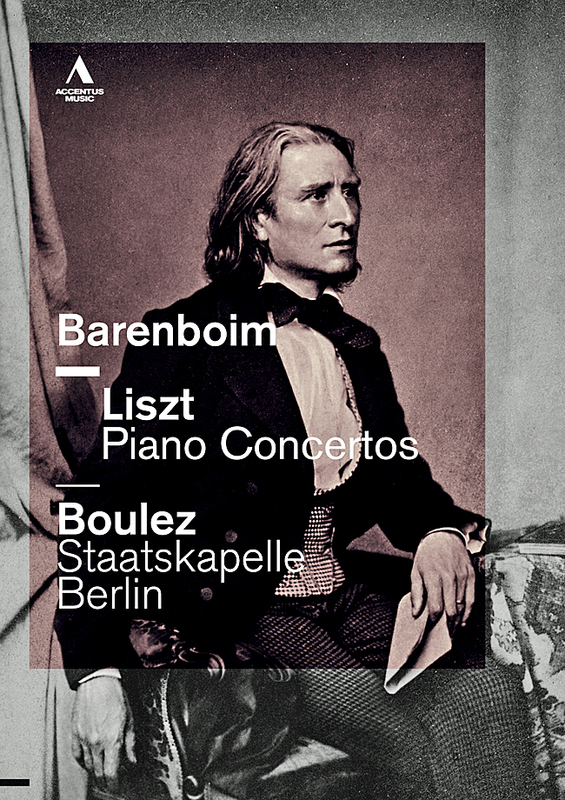 New DVD Release: Barenboim and Boulez - Liszt piano concertos plus Faust and Siegfried Idyll. Daniel Barenboim and Pierre Boulez first met in Berlin nearly 50 years ago. In 2011 the two giants of the classical-music world joined forces to pay homage to Liszt during his 200th anniversary year in a stunning concert which was performed at venues in Austria, Germany and the UK . ACCENTUS Music filmed the musicians in Essen for a live recording of this landmark concert, which is available on DVD and Blu-ray from 27th February (UK), 20th February (Germany), 28th February (USA), 6th March (France). 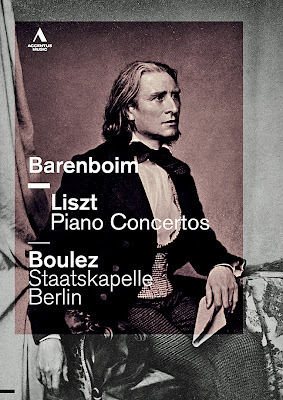 Described by Richard Morrison of The Times as “the greatest Chalk and Cheese Show in the classical-music world” after meeting them both in Berlin*, Barenboim and Boulez both regard Franz Liszt as one of the most important pioneers of modern music, influencing revolutionary contemporaries such as Robert Schumann and Richard Wagner. Two examples of the latter’s magnificent orchestral work round off the concert programme – the overture to Faust and Siegfried Idyll. This is the first time that Barenboim has tackled both of the highly virtuosic piano concertos in a single concert. Pierre Boulez, his friend and esteemed colleague of many years conducted Barenboim’s own orchestra, the Staatskapelle Berlin and both musicians were showered with praise on the European tour. The premiere of Liszt’s First Piano Concerto took place in Weimar in 1855 with Liszt himself at the piano and Hector Berlioz conducting. The impressive partnership of Barenboim and Boulez on this ACCENTUS Music recording reflects the significance of the work’s first performers. Liszt’s two piano concertos form the transition between the pianistic works of his youth and the symphonic compositions of his middle and later periods. Both works are notable for their increasing tendency to fuse their movements together in a single form, a practice which caused many of Liszt’s critics to react to his innovations with bewilderment and dismay. This new release from ACCENTUS Music, the first of 2012, captures the dazzling musicianship of these two iconic performers and the Staatskapelle Berlin. *A revised version of Richard Morrison’s interview with Daniel Barenboim and Pierre Boulez is included in the DVD and Blu-ray booklet. As always, found over on youtube - what did we do without it? The greatest animated production of Siegfried never finished? The world premiere of The Ring. Wagner. Animated will be at the new Adelaide Convention Centre venue, The Big Slapple, from Friday. While Fringe audiences are used to cutdown versions of such epics as Star Wars and Lord of the Rings, this production is by an eminent Wagner conductor and features opera singers and a classically trained orchestra. David Kram wants to make the story, settings and music of Richard Wagner's Der Ring des Nibelungen accessible to a wider audience. Tickets to Adelaide's Ring Cycle in 2004 cost $1000, this one costs $30. There will be seven performances. "If you take away the lengthy bits ... there is the most beautiful and stirring music and it's a terrific story," Dr Kram said. FRANKFURT — The 200th anniversary of the birth of Richard Wagner occurs in 2013, a seemingly ideal occasion for performing his colossal “Ring des Nibelungen.” But some opera houses couldn’t wait that long. In New York, the Metropolitan Opera recently completed its controversial new production by Robert Lepage, which has been criticized for stressing technical stagecraft over interpretation, and is now gearing up for complete cycles of the four-opera epic in the spring. Meanwhile, two productions are under way in important German houses — Frankfurt Opera and Munich’s Bavarian State Opera — both of which will receive integral performances in the summer months.Frankfurt’s new “Götterdämmerung” completes a cycle introduced over three seasons. Like the Met’s “Ring,” it has a permanent mechanical set that undergoes many permutations. As designed by Jens Kilian, in its pure state it is simply a disc, like something in an epochal Wieland Wagner production from the 1950s or ’60s. But the disc consists of concentric circles, each of which rotates and tilts on its own, so that the structure often takes on a three-dimensional form. Truth to tell, it is not all that attractive and is indebted to Olaf Winter’s lighting for what beauty it has. But it works superbly for Ms. Nemirova’s gripping staging. In the convoluted second act, just as the Gibichung king Gunther tells the distraught Brünnhilde that, in a double wedding, he will marry her and his sister Gutrune will marry her beloved Siegfried (who has been drugged), one of the circles revolves to bring the latter couple into place in time for Brünnhilde to look up and glare at them in astonishment. Ms. Nemirova cuts through plot complexities to drive home poignantly Brünnhilde’s sense of betrayal. She also neatly engineers a scene change later in the act so that Brünnhilde, Gunther and Hagen plot Siegfried’s demise in seclusion. 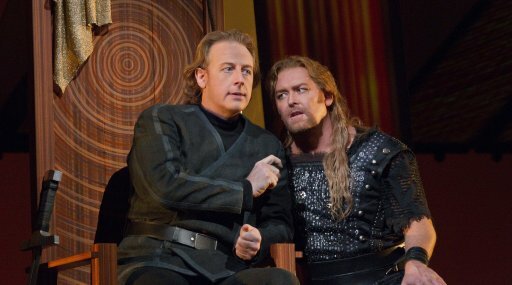 Ingeborg Bernerth’s costumes depict Siegfried as an outsider by clothing him in his usual rugged attire while Hagen and Gunther wear business suits. There is room for humor too, as the Rhinemaidens are briefly portrayed as environmental protesters with a sign “Save the Rhine.” The Hall of the Gibichungs is dark and cramped but has a well-stocked bar so characters can pour themselves a drink at tense moments. The most enthralling moment comes with the final orchestral peroration, when the characters of the “Ring” all reassemble, including the aged gods and the dwarf Alberich; the latter gives the gods a parting gesture signaling scorn but also resignation. Brünnhilde’s redemptive self-sacrifice has seemingly touched all concerned. The singing could be better, especially in the crucial roles of Brünnhilde and Hagen, but Susan Bullock, an experienced stylist, has some strong moments, while Gregory Frank ensures that his lightish bass voice serves the archvillain better than you might think. The bright-voiced tenor Lance Ryan is an uncommonly likable, tireless Siegfried, and Johannes Martin Kränzle offers a magnificent portrayal of Gunther, weak-willed as usual, but transformed by Siegfried’s death into a figure of newfound strength. The conductor Sebastian Weigle and the orchestra are in fine form. They could bring more flair to some climactic moments but their vibrant performance is consistently knitted to the drama. As regular readers may be aware, I am interested in number of different things than just Wagner. Some of these I examine elsewhere and these would no doubt be of little interest to any readers of this little part of cyberspace - and thus not worth mentioning. However, what might be of some interest is my fascination with 20/21st century art, cinema, theatre and music. Occasionally, I have found myself including that here - the odd piece of Berg or Schönberg for example. Yet, this has always seemed a little "out of place" here. 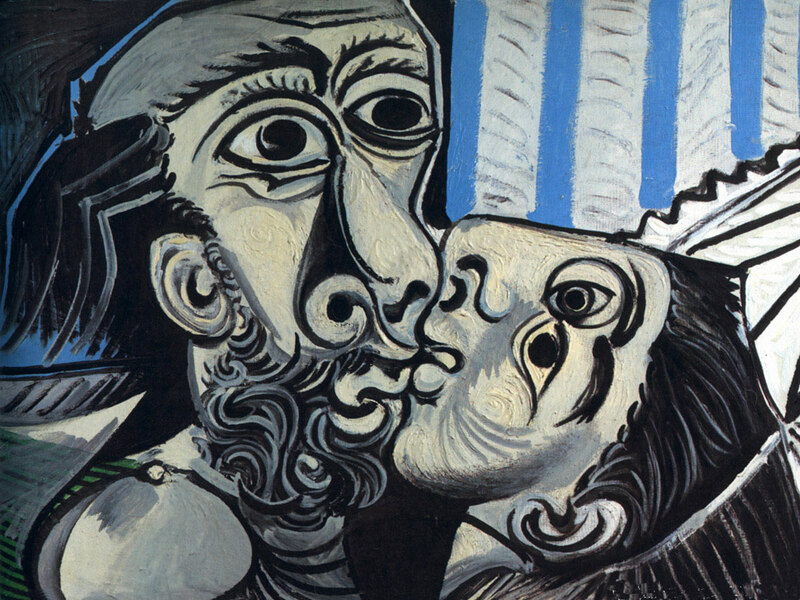 Certainly, I have always felt prohibited from including art, cinema, literature or cinema from - for lack of a better set of terms - Modernism or Post-modernism. 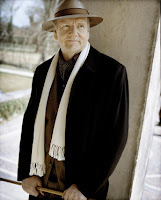 An interview and overview of the life so far of Paul Heise, creator of www.wagnerheim.com. Paul Heise’s life is Richard Wagner. The Annapolis resident has immersed himself in the 19th-century German composer’s Ring Cycle for over 35 years, dropping out of graduate school and giving up jobs to study the set of four epic operas. Heise has a website devoted to his analysis of Der Ring des Nibelungen,www.wagnerheim.com (heim is home in German), which features more than 1,500 pages of information. Zuckerman said Heise’s conclusions about the Ring are as “good as any others” and was impressed with the breadth of what Heise posted online. “The website is remarkable and incredibly complete and very apt these days with renewed interest in the Ring,” Zuckerman said. Heise’s love affair with the music began when he was 18 and heard a sampling of the work for the first time on the radio. “It was a goose bump moment,” he said. That’s a bit of hyperbole, but not that far from the truth. Heise has held a series of jobs over the years, including a stint as a juvenile probation officer, but he’s also taken long breaks to focus on his research. He’s currently a part-time gate attendant at Quiet Waters Park in Annapolis. After his marathon listening session, Heise set out to read everything he could on the massive work. The Ring Cycle’s story is steeped in Norse mythology and ancient German literature and centers on a magic ring that can be used to rule the world. Thomas Stanley, an assistant professor in the School of Art at George Mason University, met Heise while both were working at the Cecil County courthouse many years ago. When Heise spoke about Wagner, Stanley paid attention. But his friend’s devotion to Wagner and his meticulous research methods made Stanley rethink his own life and go back to school for a graduate degree in ethnomusicology. “Basically, Paul lit a fire in me,” Stanley said. Heise’s fire is still unabated and he hopes to condense the contents of his website into a book soon. He has no regrets about devoting so much of his life to the Ring. His major conclusion about the work is that it concerns the death of religious faith and assaults on religion by science. Religious feeling, Heise said, lives on in art. Josè-Luis Novo, music director of the Annapolis Symphony Orchestra, has reviewed some of Heise’s writings. One of the ASO’s violists passed along 500 or so pages of the material from the website. Heise was overjoyed to hear Novo looked at his work. 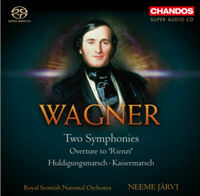 He’s happy if anyone lends an ear to himself and Wagner. He realizes the composer’s stance on certain social issues, as well as his antisemitic views, have tarnished his reputation. But Heise is much more interested in the music than the man. Felix Mottl more than fifty years later at the request of Wagner’s widow, Cosima. and circumstance. The Huldigungsmarsch was written in 1864 for King Ludwig II of Bavaria. A monumental orchestral work by Austrian composer Hans Rott (1858-1884). Rott studied piano and harmony at the Conservatory in Vienna with Josef Dachs and Franz Krenn, and he attended organ classes taught by Anton Bruckner; he briefly roomed at the Conservatory with Gustav Mahler. His music was greatly influenced by Bruckner and Wagner - indeed, in 1876, Rott attended the first Bayreuth Festival. Two years later, in the final year of his studies, Rott submitted the first movement of this symphony to a composition competition, only to be met with derision from all the judges with the exception of Bruckner, who recognized its merits. Nevertheless, after Rott persevered and completed the symphony in 1880, he showed the work to Johannes Brahms and Hans Richter, hoping to gain the praise of these prominent musicians. Once again, the results were disastrous. Brahms, who resented the progressive influence Bruckner exerted in the Conservatory, called Rott talentless and told him that he should give up music. This proved to be too harsh a blow for the young composer to withstand, and later the same year, he experienced a mental breakdown. While traveling on a train from Vienna to Mühlhausen in order to take up a post as choirmaster, he suddenly pulled out a revolver and threatened another passenger who was trying to light a cigar, shouting that Brahms had filled the train with explosives. In 1881, he was committed to a mental hospital, receiving a diagnosis of "hallucinatory insanity, persecution mania - recovery no longer expected". There, he destroyed a number of his compositions, reportedly using the score of his String Sextet as lavatory paper, saying, "That's all the works of men are worth." Rott died of tuberculosis in 1884. Nonetheless, Rott's music did not entirely lack admirers. His close friends rescued several of his scores, including that of the Symphony in E major and sketches for a second symphony. His surviving manuscript scores are kept at the national library in Vienna. His influence is perhaps most evident in the music of Gustav Mahler, who spoke very highly of Rott: "It is completely impossible to estimate what music has lost in him: His genius soars to such heights even in this first symphony, written at the age of twenty. It makes him - without exaggeration - the founder of the new symphony as I understand it." Video Lecture: "Nature and Myth in Richard Wagner's Ring"
Thomas Bargatzky presents a paper with the title: "Nature and Myth in Richard Wagner's Ring - An Anthropological Perspective". He argues that in "Der Ring des Nibelungen", Wagner employs anthropological, mythological and philosophical topics, ideas and characters in a way which often contravenes their original intent. In the "Ring", Wagner takes leave of the political optimism of his younger years, as it became manifest in his vision of a communal "art-work of the future". 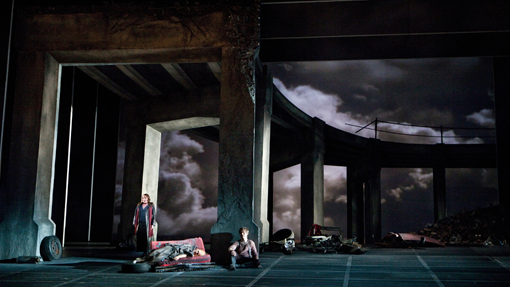 The pessimism informing the Ring-cycle testifies to its actuality, as is shown in the recent discussions on the "Staatendämmerung" following the European soverign debt crisis. Update: seems one or two people were having difficulties with this. Have updated links to try and make things easier. Apologies, for those that had difficulties, I blame a lack of sleep. It will be sitting in the on-demand section of RTE Lyric for the next week or so. Click the link below and RTE's pop-up player will launch. Give it a few seconds once it launches for the program to start. You will need to allow pop-ups. Alternatively go here and click on "Latest Show". "So tell me: who does your hair?" 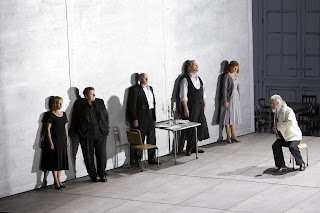 As I hope you know by now, this years Parsifal from Bayreuth (Stefan Herheim's production for those catching up) will be simultaneously broadcast live in cinemas. Sponsored by Audi, it has now been confirmed that Katharina Wagner will direct - and present - special interval features which take viewers "behind the scenes". Alas, still no news as to whether this will be available in the USA, but Germany, Switzerland and the UK are confirmed. Kyle Ketelsen and Bryn Terfel will sing four performances each of the role of Leporello in the upcoming performances of Don Giovanni, replacing John Relyea who is now on vocal rest at his physician's instructions. Ketelsen will sing the role on February 21, 24, 29, and March 3; Terfel will sing the role on March 7, 10 mat, 14, and 17. Ketelsen made his Met debut in 2006 as Angelotti in Tosca and later this season will sing the role of Mr. Flint in the revival of Billy Budd. He has sung Leporello at the Royal Opera House Covent Garden, Teatre Liceu in Barcelona, Los Angeles Opera, and the Aix-en-Provence Festival. UPDATE: If you missed it live, click here to listen to it for the next seven days. Click here to listen on BBC Radio 3. For those to whom Radio 3 is unavailable might I suggest going to Opera Cast where you will find a list of Radio stations broadcasting this on air and also through the net. On the Valkyries' rock, three Norns spin the rope of Fate, recalling Wotan's days of power and predicting the end of the Gods. When the rope breaks they descend in terror to their mother, Erda, goddess of the earth. At dawn Siegfried and his bride, Brünnhilde, emerge from their cave ("Zu neuen Taten"). Though fearful that she may lose the hero, she sends him forth to deeds of valor. As a token of his love, Siegfried gives Brünnhilde the magic Ring he took from Fafner, and she gives him her horse Grane in exchange. Passionately they bid farewell as Siegfried sets off into the world (Rhine Journey). If the MET where producing a new production of Parsifal in 2013: who would direct, who would be in the cast and when might you see it? When might you see it? And what might that sound like? 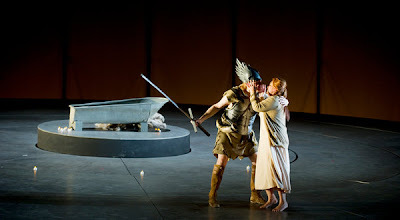 By the way, should anyone have any updates on the METs casting for Parsifal in 2013, you wouldn't let us know would you? The Scots are taking over the MET's Gotterdammerung? OPERA doesn’t get much bigger than Götterdämmerung at the Met – the four-hour climax of Richard Wagner’s Ring cycle, at New York Metropolitan Opera – “the biggest, grandest, most respected opera house in the world”, as Vanity Fair magazine put it. The company spends over $250 million (£156m) a year, rotating between about two dozen different operas at the rate of up to seven shows a week. 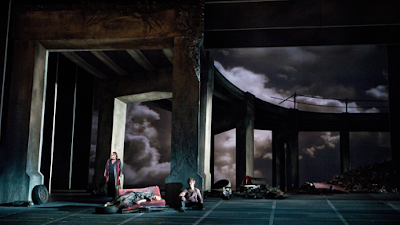 The Met’s new Ring cycle is directed by Robert LePage and cost a reported $16m (£10m). It has become famous for its 45-ton (40 tonne) set, consisting of 24 giant angled planks that rotate on an axle above and to the back of the stage. They are set near-flat for some scenes, vertically for others, while video projections turn them into forests, fiery mountains, forbidding banquet halls or rivers flowing with blood. In some they move and lurk menacingly, like giant abstract dogs. This Saturday, two weeks after its premiere, Götterdämmerung will be broadcast live to over 1,600 cinemas in 54 countries, including seven in Scotland. 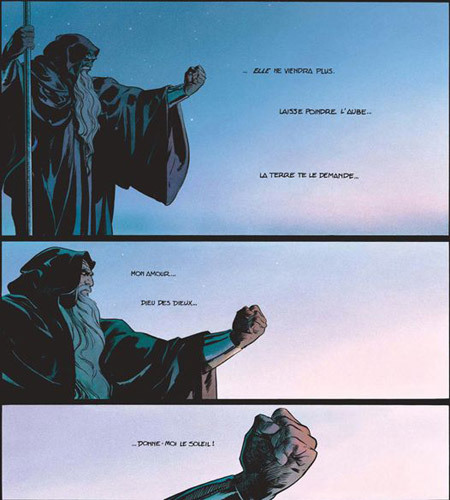 One of the most human figures in this drama of Gods and superheroes is Gunther, a weak-willed, self-doubting king who plots the betrayal of heroic Siegfried but is still in awe of him. He’s played by bass-baritone Iain Paterson, the Royal Scottish Conservatoire graduate whose career is on a rising trajectory on the international opera stage. When I arrive, the scene on the stage at the Met looks like a cross between a film set for On the Waterfront and another for Ben-Hur. Giant classical pedestals from the set of Anna Bolena, the Donizetti opera designed by Paterson’s fellow Glaswegian David McVicar, are being slowly lowered into place for the evening’s performance, dwarfing stage crew who swarm around like dockworkers. The understage seems as cavernous as a dry dock for the Titanic. To the right, the huge revolving beams that made up the set of the previous night’s Götterdämmerung are stowed, awaiting their next outing. Paterson leads the way through to the dressing rooms, down a corridor lined with double-bass cases that face out from the walls like sarcophagi. We wait for three huge silvery chandeliers to be rolled past us on trolleys. His name is on one of the doors, though velvety costumes for another singer, from the cast of Anna Bolena, are already hanging there. Three years ago, when he came here for his debut performance at the Met, a helpful porter told Paterson: “This is the dressing room that Mr Pavarotti used to prefer.” He was monitoring his blood pressure regularly, at that time, and on that night, “the biggest thing” he’d ever done it went from normal to “through the roof”. “I don’t know if they were winding me up, but it certainly broke the tension,” he says. The Scots are not quite taking over Manhattan. But from our country, better known in the opera scene for the emasculation of its national opera company rather than nurturing superstars, there is quite a confluence of talent. 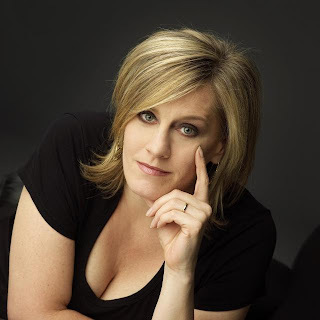 The Scottish mezzo-soprano Karen Cargill makes her own Met debut in Götterdämmerung in April, singing the Valkyrie Waltraute in one of the opera’s most moving passages (meaning she is not featured in this weekend’s broadcast). The musical coach working closely with both of them is John Fisher, another Glaswegian, a legendary opera director who ran both La Scala and Welsh National Opera. McVicar’s new production of Anna Bolena, meanwhile, is just a reminder of that director’s huge presence on the international opera scene. Paterson graduated from what was then the Royal Scottish Academy of Music and Drama a couple of years before Cargill. They pursued different paths to success, with Paterson heading to Opera North and rising up the ranks in English opera, while Cargill focused initially on a concert career, and firmly rooted in Scotland. New York’s been a bit of a reunion, for their two careers have rarely crossed paths until recently. “People have been coming up to me and saying, your countrywoman has got a fair set of pipes,” says Paterson. Both have sung big roles in big houses internationally – Paterson in Don Giovanni at English National Opera and Billy Budd at Glyndebourne; Cargill in the Berlin Philharmonic and at the Proms – but they share what seems a genuine ingenue’s astonishment at being at the Met. Dallas Opera's Tristan no longer a concert version but now fully staged! Need to be elsewhere and thus don't have much time but to say, that Dallas Operas concert version of Tristan und Isolde (details here) is now a fully staged version! It is no secret that the Dallas Opera had cut back on the current season in an attempt to put the company on a sound financial footing. The new General Director and CEO, Keith Cerny, took measures to inject some business reality into the rarified operatic atmosphere and his efforts are already paying off. A perfect example of his steady-handed stewardship is the convoluted journey that the upcoming production of Wagner's masterpiece, Tristan and Isolde, took as it wound its way to the Winspear Opera House. When it opens on Feb. 16, it will be the fully staged production that was originally imagined. Jonathan Pell, Artistic Director, explained the twists and turns in a recent interview. 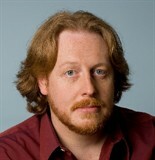 WNO Tristan 2012: Jay Hunter Morris is out Ben Heppner is in! It's all change again on the Wagner "circuit". One of the Tristans I am looking forward to this year is Welsh National Opera's revival of Yannis Kokkos' rather fine production (more here). Jay Hunter Morris was originally scheduled to perform Tristan but having now taken on Siegfried for the MET that is no longer possible. Originally of course Ben Heppner was to play Siegfried at the MET before he pulled from there. However, it may be that the MET's loss proves to be WNO gain as he will now be performing Tristan for them alongside Ann Petersen's Isolde. A little bird tells me that Jay Hunter Morris will perform in the revival of the Florence-Valencia Ring Cycle during the Maggio Musicale Fiorentino 2013. Alas, I cannot confirm or deny. Zubin Mehta returns to the podium, but that you know already of course. to always look like he is in a Mad Max sequel? Time for a bit of fun, and with that in mind I present the first Wagnerian Caption Competition. Tell us, in an amusing a manner as possible please, what is being said in the scene from the Chéreau Walkure below and you will find yourself the winner of a brand spanking new MP3 copy of the Moralt live Walkure from 1949. Alas, I am still slightly mean and it was a copy bought "on the cheap" over at emusic and thus comes as 3 complete MP3 files - not separate tracks I am afraid and no booklet. But look, its free and the winner gets a special mention. To hear a little bit click play below. February 6, 2012 -- Nicola Luisotti has been appointed Music Director of Teatro di San Carlo in Naples, Italy, effective immediately. The news was announced over the weekend by General Director Rosanna Purchia and the Board of Directors of the Teatro di San Carlo Foundation following a meeting where the unanimous decision was taken. Maestro Luisotti succeeds former Principal Conductor Maurizio Benini and Music Director Jeffrey Tate. Born and raised in Tuscany, the 50-year old Luisotti is currently Music Director of San Francisco Opera and Principal Guest Conductor of the Tokyo Philharmonic. The oldest theater in Europe , founded in 1737, many of opera’s most famous composers spent significant time at the theatre, including Rossini, Donizetti and Verdi. In 2010, the theater was reopened after an important period of restoration where the magnificent five-level horseshoe of boxes which are upholstered in red and decorated in gold leaf, frescoed ceiling and beautifully painted stage curtain were renewed to their original glory. In a rare interview with Welt Online Katharina Wagner discuses troubling times at Bayreuth and the announcement of a live cinema broadcast of Parsifal this year to an approximate 100 cinemas around the world - well apart from in the USA. A 25 percent increase in ticket prices. The number of quality Wagner productions elsewhere. Was she worried? Yes, but oddly thought that the new electronic, online ticketing system would help towards rectifying the problem. Needing to cultivate a new, younger audience would also help, and this ticketing system, she seemed to suggest, would help with this. 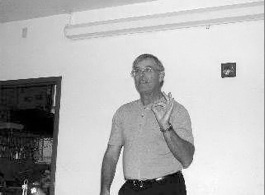 When asked about Frank Castorf she stated he was a highly experienced director, well versed in his craft. The interviewer noted that in his contract, Castrof was not allowed to "cut" the Ring. Had any further artistic "limitations" been placed on him? No, said Katharina, except those imposed by finances and logistics - intriguingly noting such as the size of the orchestra pit. Questioned about ongoing criminal investigations into Bayreuth ticket sales, she was obviously unable to comment to any great extent. Again, two unnamed people were mentioned as being investigated, but she noted the investigation was into the distribution of free, not sold tickets. She also pointed out that Bayreuth was more rigorous in ticket distribution than perhaps any other opera house. While discussing why Siemens pulled its sponsorship of the festival Katharina announced that this years Parsifal - already scheduled for free broadcast on the 11 August on ARTE TV - would also be broadcast live in Cinema relays across Germany, Austria, Switzerland and the UK. No mention was made of the USA, but given the size of this market its exclusion would seem unlikely - although nothing is ever certain with Bayreuth. Ticket prices would be around 25 to 29 euros. Discussing, criticisms of recent productions she agrees that not everything worked but points to the progressive "workshop" nature of Bayreuth productions which allows significant changes and improvements to productions each year. Finally, when asked if she will apply to renew her contract with Bayreuth in 2015 when it expires she said that she had still not decided. It is without doubt a difficult time for the arts - as it is for many parts of society. Today's announcement from San Francisco Opera should not be considered that much of a surprise and one suspects will be mirrored by many other houses. What will be of interest now is SF opera's response to this news. They have certainly put on an interesting last season - of especial interest to us of course was Francesca Zambello's Ring Cycle. And this is despite the fact that a deficit was projected. So far, their reaction has not been to "pad out" their season with 40 performances of Traviata or Boheme - the frequent reaction of some opera houses. And this decision seems justified with ticket sales up 32% (total $24,633,817). Equally, the company managed to gain funds of $33,345,806 from only 11,350 donors. Indeed, total operating revenue for FY 11 grew substantially. It would certainly seem that they are giving audiences what they want - an audience consisting of 350,000 people when cinema broadcasts and various community projects are taken into account and with a further 1.8 million if its radio audience for last season is added. Katharina Wagner is worried about the state of Bayreuth. "Anyone know the name of a cheap roofer?" 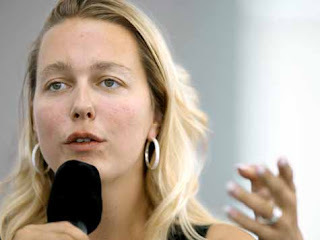 Katharina Wagner has said in an interview today that she is worried about the state of Bayreuth. Alas, not about recent productions or their reception but the physical state of the Festspielhaus itself. Many of you are no doubt aware of this already - the Friends Of Bayreuth discussed this last year, as have others - however, in an interview today Katherina stated that a report on the state of the building and the action needed to preserve it would be published in March. A previous report estimated that 20 million Euros would be needed to fix such issues as a leaking roof, crumbling sandstone facade and the general " dilapidated" state of the building. In the interview, she announced that the official report will also put forward a plan to raise funds to conduct the repairs. Available on Ondine. Only £6.99 on mp3 from Amazon I see, probably less if you "shop around"
Opera Now are giving readers of the opera blog Opera Chic, six months free access to the electronic version of the magazine. No need to provide credit card, address details etc.